When The Clock Strikes, is a 3-piece Alternative-Punk band from Muskogee, Oklahoma, formed in 2014. The same year they debuted with the “Glowing in the Dark” EP. 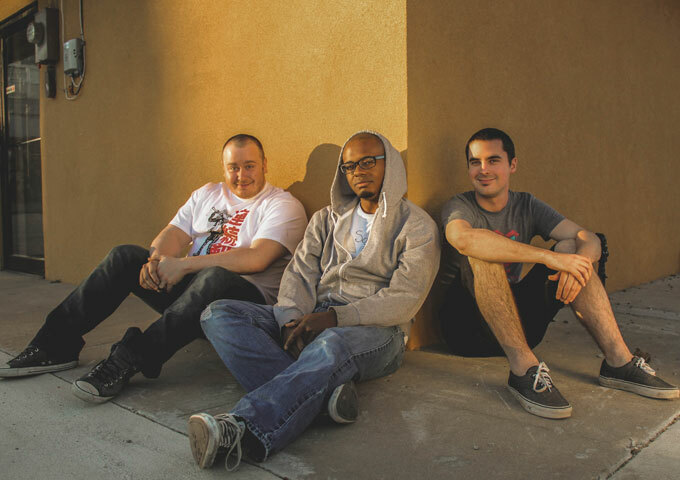 The band is Daniel Basden – Bass and Vocals, Steven Walker – Guitar and Juice Kirts – Drums. 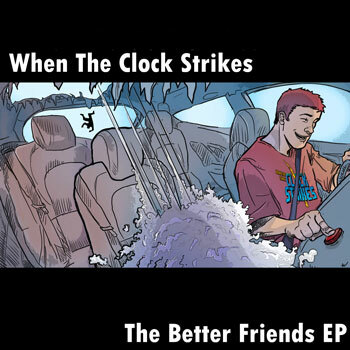 When The Clock Strikes, has just released it’s “The Better Friends” EP. This 5-track EP is a combination of strong melodies, smart and exciting arrangements, as well as breath-taking guitar riffs and solos. The blend of punk rhythms with fiery rock guitar solos is a successfully sounding twist. When The Clock Strikes combine all the things that we already know and love about rock n’ roll and it’s subgenres, in smart and effective ways, in order to push and pull listeners to different climaxes. When The Clock Strikes have found a niche for themselves in that they really pour their hearts out into the music and do it with catchy rock-driven melodies, which is somewhat of a forgotten staple in music nowadays. With their raging rhythms, crystal leads, and captivating vocals, When The Clock Strikes prove themselves worthy to be set apart from the more generic and uninteresting punks acts still doing the rounds. Probably one of the biggest standouts on this effort is the opening track “Too Many Cooks”. Now this is how you start off an EP right! The ferocious wall of raw aggression pummels you into submission. The verses churning out crunchy, guitar-driven harmonies with Daniel Basden’s voice searing and soaring the whole way. Then comes the chorus, delivering a dramatic tension and intense melody to help bring the song back full circle to the next verse. This is followed by Steven Walker’s breakneck, guitar-wizardry bridge, bringing the song to a solemn vocal conclusion – an amazing song to get the EP up-and-running. The rapid fire pace is kept going strong with the following track “Better Friends (From a Distance)”. The cryptic lyrical style and the beautiful tonal lead guitar progressions add a great deal to the superb powerhouse time keeping by drummer Juice Kirts and bassist Daniel Basden. This rapid fire evolution is only enhanced by the next track, “Fair Weather”, where once again Steven Walker shows off his 6-string chops. I have yet to hear another punk rock lead guitarist – indie or major – with the intensity of Walker’s tone, timbre and technique. “Redemption” is a track where drummer Juice Kirts and bassist Daniel Basden, totally rule the roost. 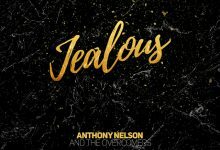 This is a fiercely driven song with rhythmic starts, stops and progressions tailor-made for the quick-witted musician, with a keen sense and sleight of hand. Stuff that all involved here, are typically acquainted with. When The Clock Strikes is extremely different from the norm. Lyrically and musically they bring something new to the table in this genre, mainly, tremendous musicianship and songwriting. Their lyrics are intriguing, metaphoric, and at times ironic. The songs are intense, loud, and brilliantly arranged, with excellent vocals. If you’re looking for an evolution in Punk, look no further than When The Clock Strikes.